Bob’s been locked in the workshop again and created another model engineering masterpiece in his range of amphibians, this time a fully functional “Aqua Car” even the passengers wave. Fantastic Bob, what’s next? Yet again another piece of magnificent engineering and modelling from Bob our amphibian guru!. 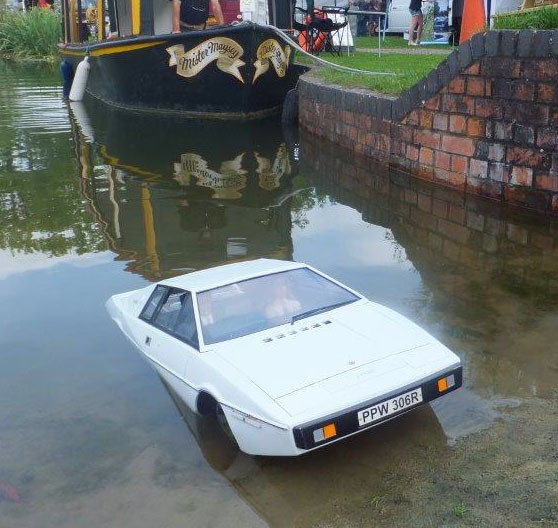 Pictured is his recently completed Alvis Stalwart; this was its first swim in open water. Just like the real thing – it is tricky to steer on its water jets but with practice it should be just fine. It is not fast on the water but it travels at reasonable speed and gives a good wash and show of the jet drives – like the real thing. Bob was Pleased to say that no water came in via the drive shafts or the steering and reversing cone shaft seals, just a few drops from a wash over the cab when he got too enthusiastic about driving into the water. Bob’s next step is to model the crane, starting off by making an extendable semi-working one to start with. A fully radio-controlled version is on the drawing board! Bob’s been at it again! 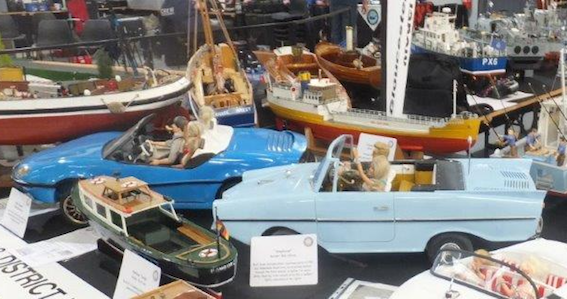 – This time an absolutely beautifully scratch built scale model of a London DUKW tours amphibious vehicle. It features 6 wheel drive so nothing stops it as can be seen here in the snow.